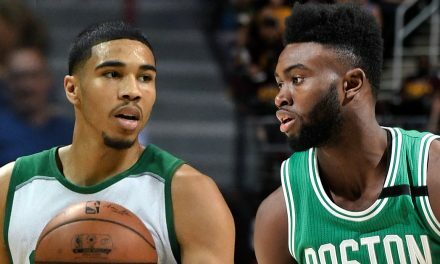 Based off of the quiet offseason Boston has had, many fans may think the transactions may be far from done. It is still possible that Dombrowski goes and resigns Craig Kimbrel, and it’s also possible he cooks up a trade to bring in a reliever. That aside, the roster is all but set. A couple guys are going to be fighting for jobs in March and that will be very interesting to watch. Without further ado, this is the best projection I have for what the 25 man roster might look like on April 9th vs. Toronto. This is a three horse race for two jobs. Somehow Boston went all of 2018 with three catchers on their roster and it never really hurt them. They were never down a utility bat or a pitcher in the bullpen due to having three catchers, so they got away with it. 2019 won’t be the same case. Dombrowski has already said they want to make a move, with any of the three catchers available. Sandy Leon is likely going to be the odd man out. If the Red Sox don’t find a suitor for him on the trade market, he’ll likely see himself cut before opening day. Personally, I would keep Leon to backup Vazquez (who’s bound to bounce back) and use Swihart as trade bait, but hey that’s just me. This situation isn’t as cloudy as the one behind the dish. The left side of the infield is locked in. Raffy will look to make strides at third while Xander head into a contract year at short. Dustin Pedroia will start at second, barring any setbacks with his knee. 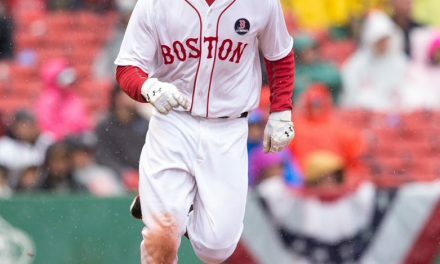 If he isn’t good to go for opening day I would give Brock the nod over Nunez at second. Then we turn to first base where there isn’t one starter, as it’s more of a platoon situation. Mitch Moreland is my projected opening day starter, since Marcus Stroman is likely to start for Toronto and he’s a righty. Steve Pearce is more than capable to hit against righties, but will likely start the season facing mostly left-handed opponents. With J.D. 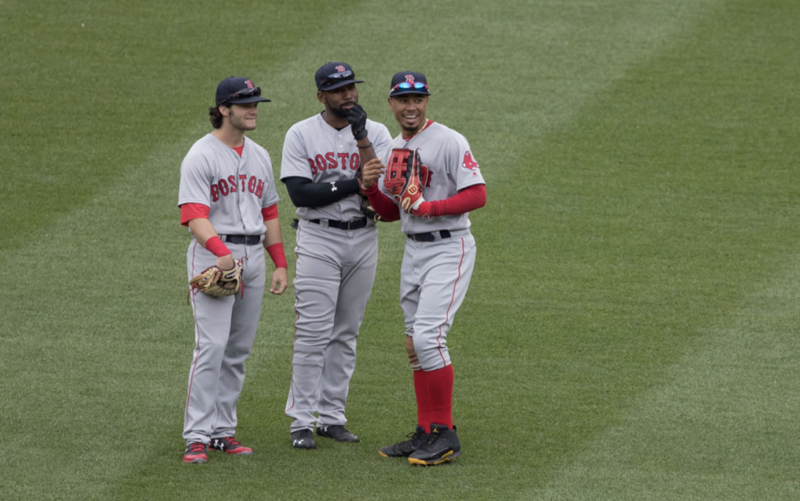 essentially serving as the DH/fourth outfielder, the Red Sox will only carry three natural outfielders on their roster. This was the case in 2018, and worked better than anyone could have imagined. J.D. was able to fill in the outfield at various times to give some of these guys a day off here and there, and will look to do the same in 2019. The key part for this outfield this season is how they all blossom. 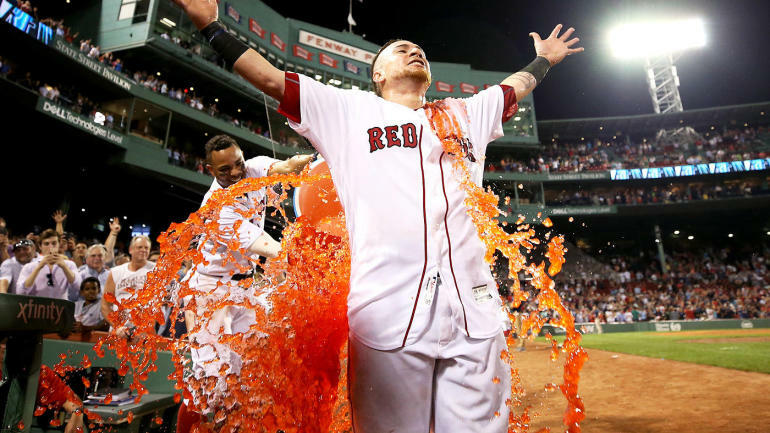 Can Mookie Betts repeat his MVP caliber season? Can JBJ find a consistent bat and carry over his success from October? 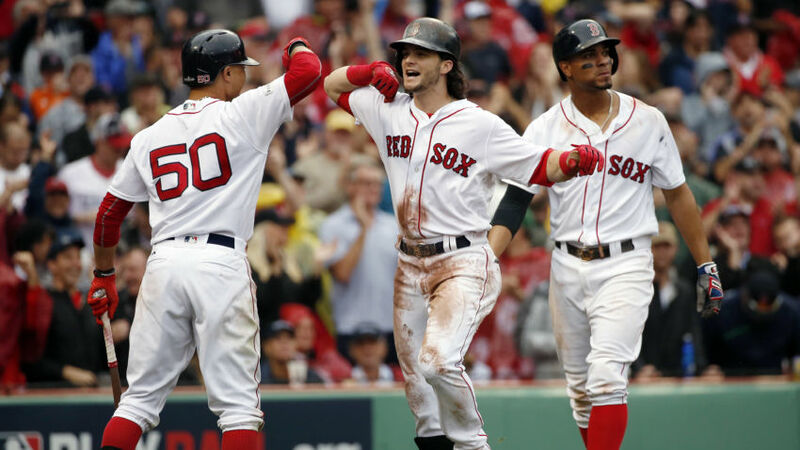 Can Andrew Benintendi take the next step towards being an MVP candidate-type player? Unfortunately if you came here hoping to see Allen Craig, or Rusney Castillo, you are going to be highly disappointed. The only man for this job is Julio Daniel. 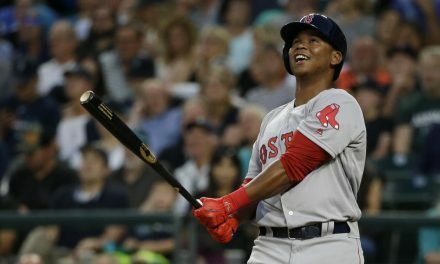 Martinez had an MVP level season in 2018, and now has a chance to repeat it in 2019 and possibly opt out after this season. 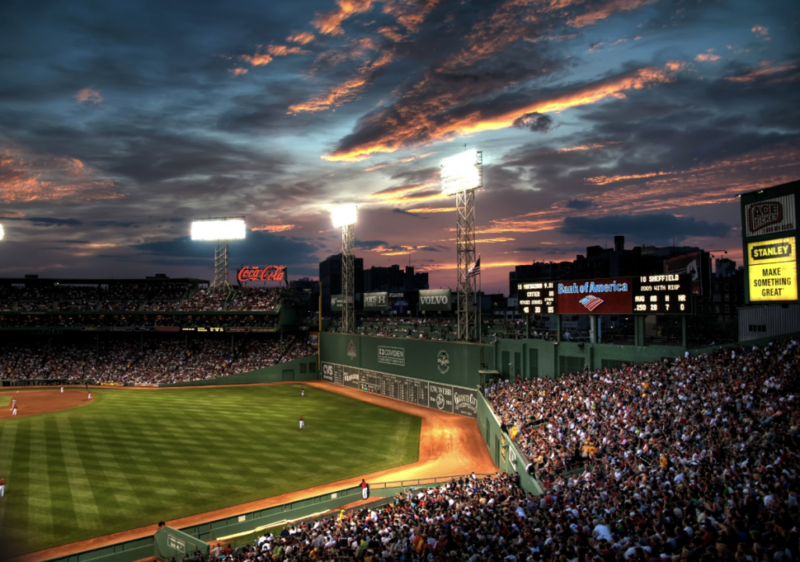 This will be a huge season on many fronts for future salaries for these Red Sox players and for the front office. Seeing if J.D. regresses or not is going to be a huge factor to whether he opts in or opts out following 2019. However, J.D. is the man, has a relentless approach, and is always trying to get better. I think he’s due for more of the same in 2018. The rotation for Boston is five deep. They are loaded and nobody seems to talk about it. Everyone wants to talk about Severino/Paxton/Tanaka in New York or Corbin/Scherzer/Strasburg in Washington. Both sets of trios are certainly worthy of being the best in baseball. As far as the entire rotation goes, Boston might take the cake. Sale, Price and Eovaldi are all legit studs at this point. Price and Eovaldi will likely carry over to 2019 the huge postseasons they had. You know exactly what you’re going to get from Rick Porcello, 190 innings and an ERA around 4. 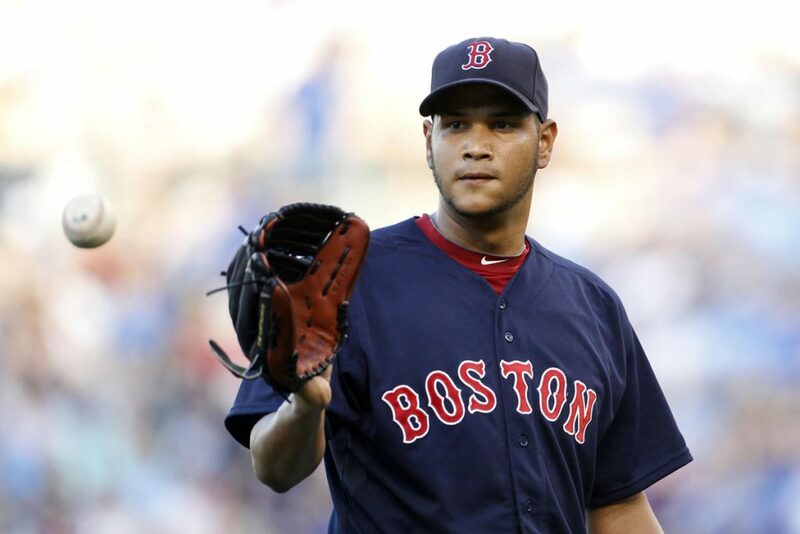 The biggest wild card is Eduardo Rodriguez. If he can finally stay healthy and put together a full season, he could really breakout as an All-Star caliber pitcher in this league. This is the only segment of this article that can still drastically change. Not only are their outside factors still affecting it (Kimbrel, trade, etc.) but there also internal competitions. 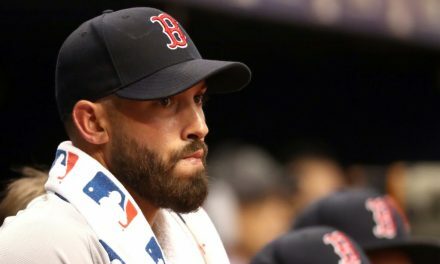 At least two pitchers who pitched a significant portion of innings in 2018 for Boston could be sent packing after Spring Training, possibly more if another external option joins the club. Matt Barnes is a lock, and in this scenario, would be my choice for the closer. I’m still hopeful on Kimbrel coming back on a reasonable deal, but for now, Barnes in the ninth. The other locks, Brasier, Hembree, Wright and Johnson. Brasier is the Red Sox second best reliever as of right now. Hembree and Wright both showed their value at times last season, and have earned spots in the bullpen in 2019 barring injury. Brian Johnson is the lefty out in the pen, so I also believe he’s a lock to make this team. Then we turn to a few names competing for two spots. Workman and Velazquez have the spots in my books, but Tyler Thornburg, Bobby Poyner, and Colten Brewer will also compete for those two jobs. A couple other names I’d keep on eye on, depending on their spring performance, Carson Smith, Marcus Walden, William Cuevas and the kid, Durbin Feltman. If Craig Kimbrel were to sign, or another reliever was brought in, I believe Workman is the pitcher who gets pumped from this 25 man roster. A lot of things could change on this list, but for the most part this is what the roster is going to look like going into 2019. Looks fairly similar to a roster that didn’t do half bad in 2018.